If you struggle to get traffic to your affiliate offers, you are not alone. Sixty-three percent of businesses say their number one marketing challenge is generating traffic and leads. In affiliate marketing, the advertiser has already created the product or service and the affiliate program, and provided the tools and creatives needed to help market their offering. The main task for publishers is to generate traffic to these affiliate offers, which equates to more traffic to the advertiser’s website via an affiliate link. This ideally leads to more conversions and higher profits. Therefore, to be able to generate traffic has to be top of the list of priorities for publishers. We’ve explored some of the most effective ways publishers can generate traffic for their affiliate offers and are sharing our top nine methods below. Advertising is the mainstay of lead generation. Whether you choose to do paid search, social media campaigns, remarketing or display advertising, it’s a tried and tested method to drive traffic to your affiliate links. One of the advantages of using paid lead generating techniques is that people who click on your links are usually high up in the buying cycle, and are therefore ready to purchase. However, you need to balance the cost of your advertisements with the commission you receive per sale. If each ad conversion costs $50 and the commission per sale is $40, it is not worth pursuing this form of lead generation. YouTube is the second biggest search engine on the internet, with approximately three billion views per day. As such, it is beneficial for you to start your own channel to promote your offers. Add an interesting video that relates to your offer, then include a compelling call-to-action that links to your affiliate product. Make sure to also put your call-to-action link or discount code within the description box, with a short description of your video. To further utilize your video add an Overlay, which is a little box that stays on the video throughout with your CTA on it. You can get started at ads.YouTube.com. Don’t restrict yourself to Youtube as there are other video channels like Vimeo that can be used to good effect. However, one of the disadvantages of video promotion is it does take time and effort to produce good content that is going to attract a loyal audience. On the plus side, great videos have the potential to go viral and can escalate very quickly to hundreds of thousands of viewers. Additionally, when promoting affiliate offers on social media remember to follow the compliance and disclosure guidelines outlined by the FTC for using affiliate links. Participating in communities with a need for your product. It’s important not to promote but to build relationships by answering questions and engaging with the community. If you are helpful, your readers will click on your name to find out more about you. Make sure your profile links back to your website and your affiliate offers. Looking for a place to start? 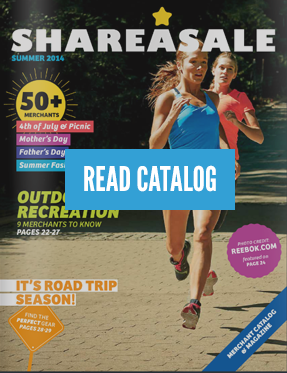 Join our exclusive The Official ShareASale Bloggers Facebook group. Sharing your blog content with links to your offer, either on your own page or as promoted posts. Running an advertising campaign, using social media marketing. You can also use social media to publish long articles, which link to your offers. Good places to publish includes platforms such as LinkedIn,Medium, Reddit, SlideShare, and Udemy. Readership of these sites is high, and if your content is relevant and searchable, it could get you in front of thousands of new people. Again, when using affiliate links on social media, make sure you’re following the compliance and disclosure guidelines outlined by the FTC. Blog posts are a great way to share affiliate links. If you have an active readership your audience will already be warm to your reviews and advice. Just make sure not to use your blog posts as sales letters; the content should provide value to the reader and your affiliate links should sit naturally within the topic. Recipe blogs use this to good effect. As they discuss the method to follow to create the dish, recipe blogs describe the tools needed for the job, using affiliate links to the sales page of the item in question. Another method of using your blog posts to promote affiliate links is to answer your readers’ comments and use your affiliate links in the replies. If the product you are promoting is related to the answer, it doesn’t look like a sales pitch but a solution to the reader’s problem. Be careful of doing this on other people’s blogs as it may come across as spam. If possible, try to make the content evergreen. Evergreen refers to content that stays relevant for many years to come, and could include how-to guides, best practices or tips and tricks. These types of articles are read and referred to over and over again. Although you may have to refresh them occasionally, the information still remains relevant. This means you can roll out this content to a new audience every so often and expose your affiliate links each time you do so. Guest blog on well-known sites that fit your niche. Offer great and relevant content, and if accepted onto other blogs it will expose you to a whole new audience. Make sure your profile and your byline link to your affiliate offers and your website. Your affiliate marketing content should be related to the guest blog and useful to the new potential readership. Accept guest bloggers on your own website. Publish content from other writers and they will share and link their article, which will, in turn, expose your website (and affiliate offers) to new audiences. Email marketing is still alive and well, with 64% of companies believing it is the best marketing method they have, with an estimated ROI of 3800%. Because of this, make sure you don’t overlook it in response to some newer, more exciting methods. You first need to build a list, which you can do through providing a free offer – like sharing a report, e-book or webinar – and using a form to capture email address (making sure, if you are marketing in the EU, to comply with GDPR). When emailing your list you must be careful to provide them with useful, relevant content. Otherwise, they will quickly unsubscribe. Affiliate links can be used to good effect in emails, either as part of the body text or in the signature. It is also perfectly acceptable to promote affiliate products directly in emails, as long as you balance it out with valuable and useful content. If possible, segment your emails so the appropriate affiliate links go to the right audience. 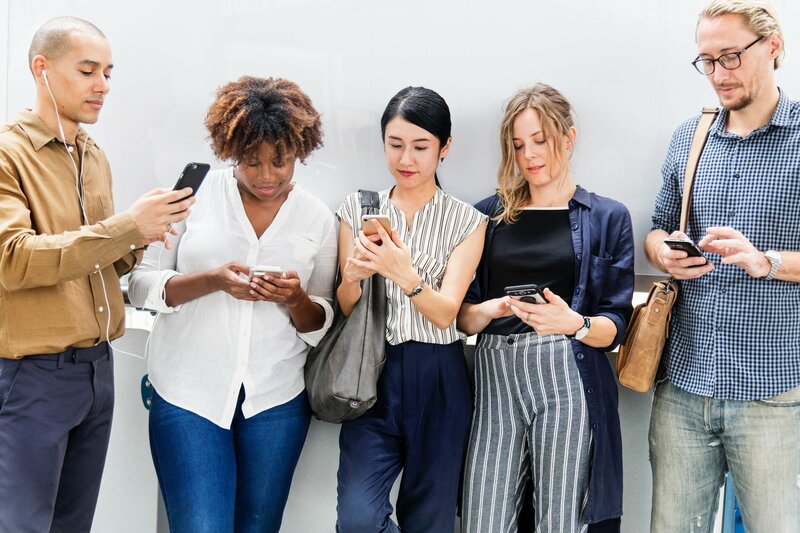 The online audience is influenced by other people’s views of a product, and will often research for testimonials and reviews before committing to buy. It’s estimated that 90% of potential buyers will read online reviews before visiting the website and making a buying decision, with 88% trusting them as much as they would if a friend recommended a product. For publishers who have built up a loyal audience, these statistics are good news. If you write honest and unbiased reviews about products related to your niche, your audience will view these reviews as a trustworthy recommendation. When you have a product or service to promote that is tied to your affiliate marketing efforts, write a review. If you have chosen to promote the product, it is important that you believe in it and recommend it because you genuinely want to help your audience. In this way, you will be able to write a frank and honest review while still including your affiliate link. The review needs to be positive but honest and should not turn into a sales letter. Make sure when using affiliate links in product reviews to follow the compliance and disclosure guidelines outlined by the FTC. Quora is a questions site, providing a platform for users to ask whatever they want. Experts then give guidance and advice on the subject matter. Although direct affiliate links are not allowed, you can link to a website or a blog post if it provides more information on the answer you are giving. Make sure the website you send people to contains content with your affiliate link. Again, when using Quora you must genuinely be looking to provide a valid answer and help the person submitting the question. Good advice will be read and shared, while answers that are just sales pitches will get a thumbs down. Your website is the presenting brand for your affiliate links and needs to be discovered by consumers interested in your niche. Making your content easy for search engines to discover your site is important, as it will help rank your site higher up on searches and drive more organic traffic to your affiliate offers. Each page should have a well written meta description, meta title, image alt tags, and H1/H2 tags. Research the keywords for your niche and affiliate offers, and add a keyword per page that is relevant to your offers. Ensuring it is in the title and content as naturally as possible, without keyword stuffing, can also help with searches. Also work on achieving backlinks by getting your content shared on social media or other blogs, and include internal and external links within your own content. If your chosen subject is too niche, you may not get the level of traffic you need to convert your readers into clicks on your affiliate links. Do some research on how many other people are selling similar products by using the Google search bar. Google will instantly tell you how many results they have found, and can help inform the keywords you use to search engine optimize your site.